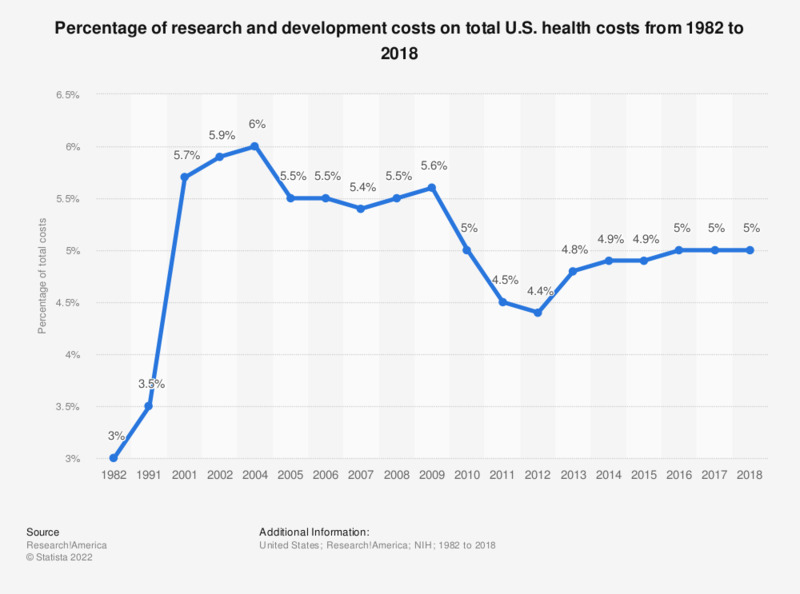 This statistic reflects the percentage of research and development costs on total U.S. health costs from 1982 to 2017. In 2017, research and development costs amounted to around five percent of total health costs. Years from 1982 to 2012 were taken from previous Research!America reports and can be found here.